Editor’s note: This is a guest post by Shanal Aggarwal, Global Business Development & Alliances at TechAhead. In eCommerce, that means once you’ve gotten a prospect to commit to something (no matter how small), they’re more likely to do business with you in the future. Signing up for an email newsletter or promotional updates is usually a great place to start! In eCommerce, it is essential to provide a way for your customers to share their purchasing experiences with others. And from healthcare to restaurants, everyone is getting in on the game. Respect for authority is deeply ingrained in us since childhood. It starts with your parents and expands to any other sort of authority figure. We’re taught to believe in and trust those who hold positions of power, because they know what is best. If you’d like to discuss ways in which you can add these (or any other) buy-inducing features to your app, we’d be happy to help you out. Reach out to us today so we can help take your business to the next level. 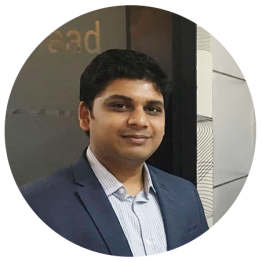 Shanal Aggarwal is VP of Global Business Developments and Alliances at TechAhead, he is a graduate of Maharshi Dayanand University and is passionate about IoT application technology in particular.